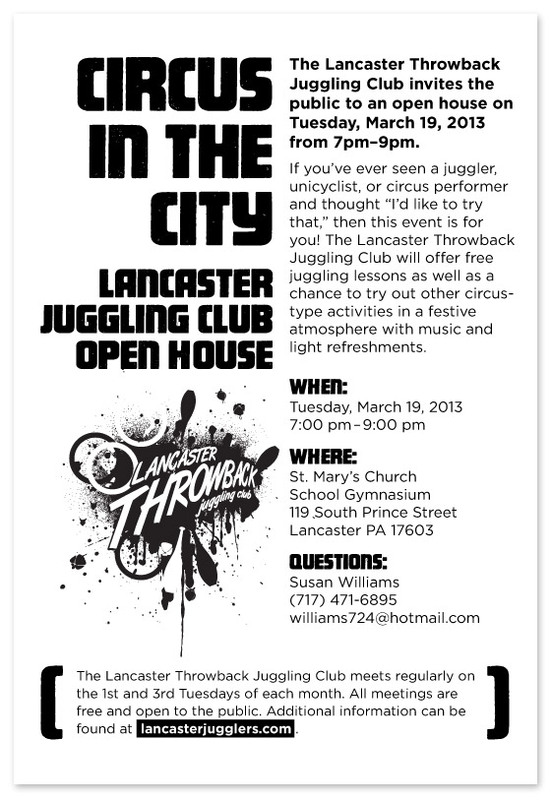 The Lancaster Throwback Juggling Club is having an open house on Tuesday, March 19th. Why would you come to this? Let’s see… you can learn how to juggle, take your love on a unique date night, have a memorable father/daughter moment, stare at carnies… the list goes on. Now that you’re convinced, check out the details below!